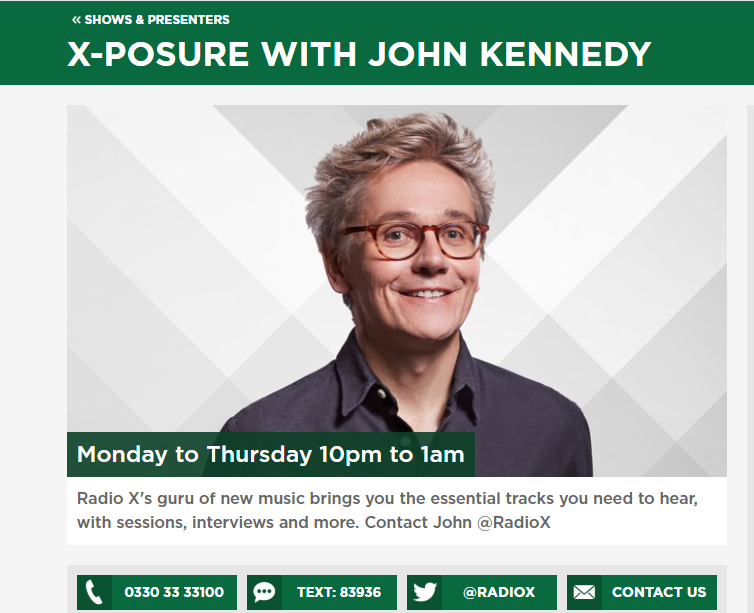 Former Mansun frontman Paul Draper, will be Artist In Residence on Radio X’s X-Posure with John Kennedy programme, for four nights from Monday 4th June to Thursday 7th June, performing a live track from ‘Attack Of The Grey Lantern’ each night with his band. You can catch up with Monday’s track, ‘The Chad Who Loved Me’ by using Radio X’s ‘listen again’ feature HERE and forwarding to 31 minutes into the programme. Three more tracks will follow on X-Posure with John Kennedy from Tuesday to Thursday this week starting at 10pm. Radio X is available online at https://www.radiox.co.uk/london/radio/player/ .